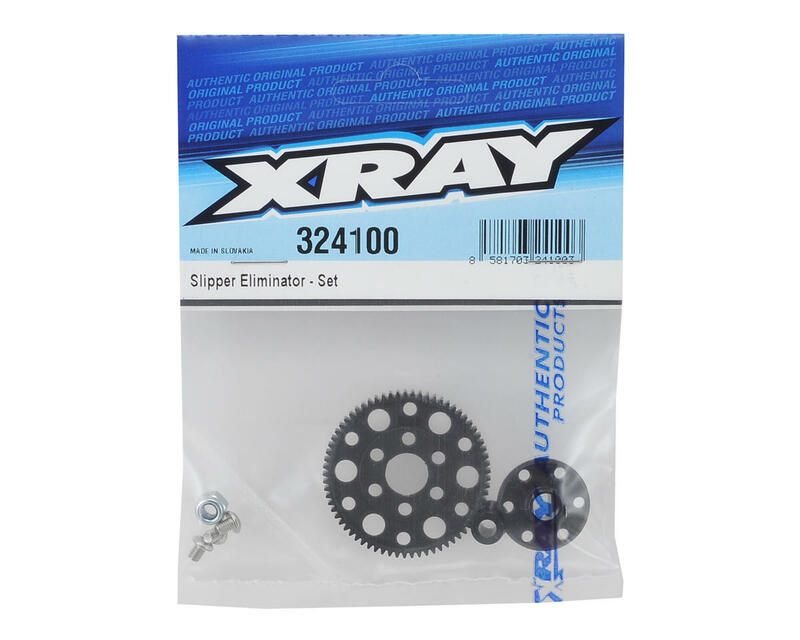 The XRAY XB2 Slipper Eliminator is a direct replacement for the slipper clutch set. Designed and recommended for use with stock motors to reduce rotating mass, reduce weight, and improve power transfer from motor without any power loss. With the Slipper Eliminator, motor performance is transferred directly to the car, and there is also no need for clutch & slipper adjustment. Exchanging the spur gear is then extremely very quick & easy. 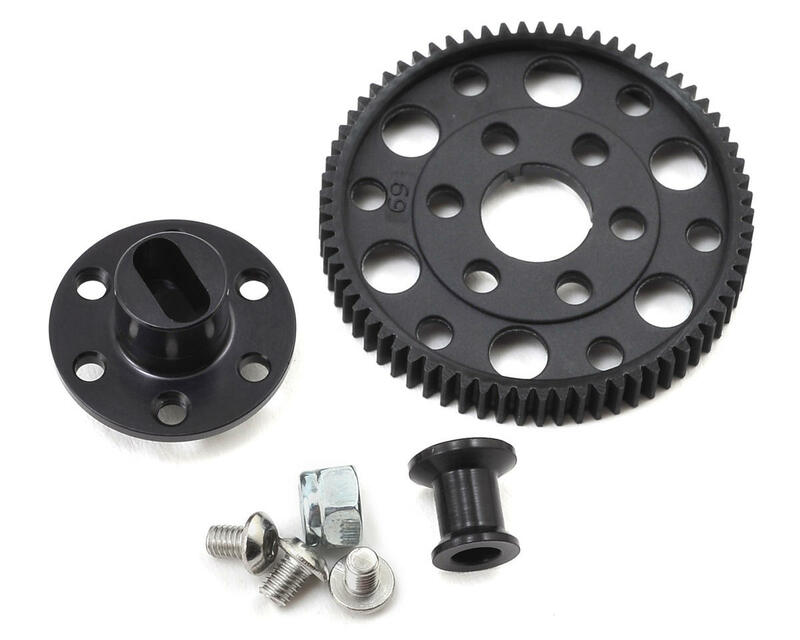 Set includes aluminum slipper shaft, aluminum spur gear hub, and 69T spur gear (an optional 72T spur gear is available).